What if the ice cream cone was AS delicious as the ice cream that was in it?! 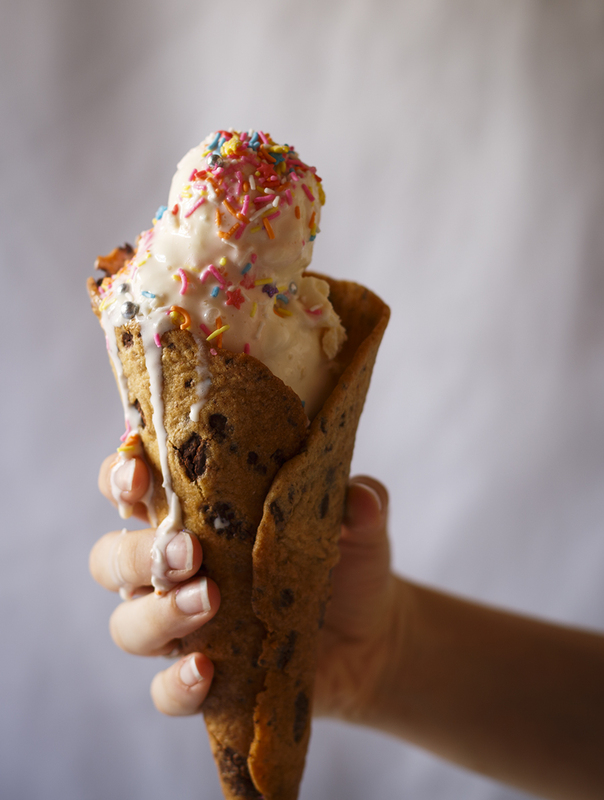 I present to you… the cookie ice cream cone! 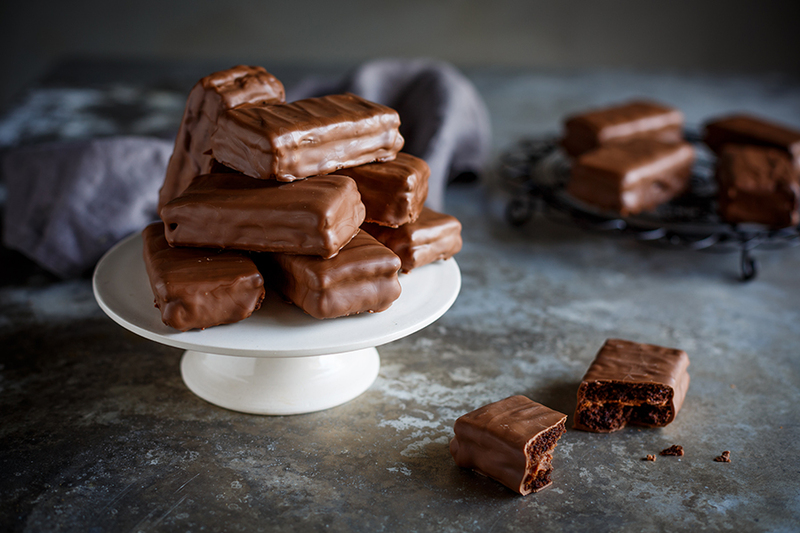 It’s both delicious AND portable and pure genius. I get asked the question ‘Cup or Cone?’ at least twice a week. Yes, I eat ice cream twice a week, at least, don’t judge! But never in a cone, thanks. I go for the cup every time. Why? Because I really don’t like the taste of the waffle cone. It’s too sweet, artificial tasting and is a total waste of calories. It could be so much better and so I set to work! You could use pretty much any cookie recipe to make these cookie ice cream cones but you’re going to want to use mine, trust me. 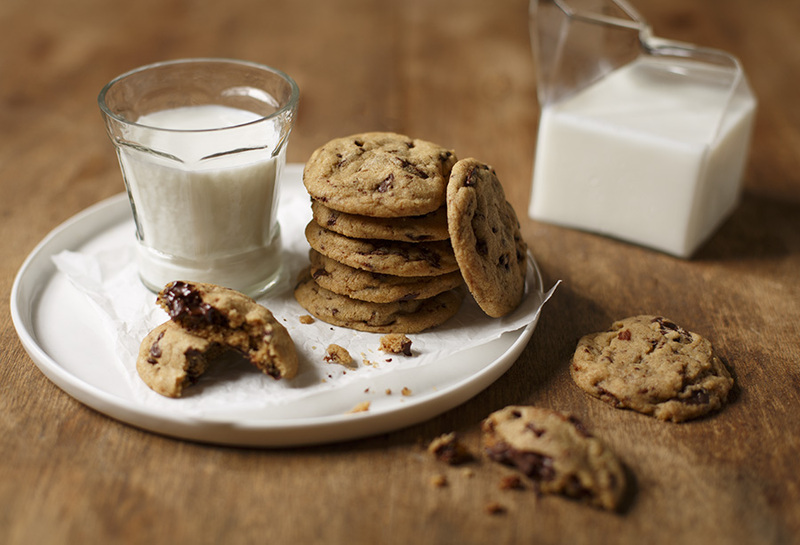 It’s the best chocolate chip cookie recipe in the world – and I’ve tried A LOT! But what takes the cookie to a whole ‘nother level is the sugar I’ve used. 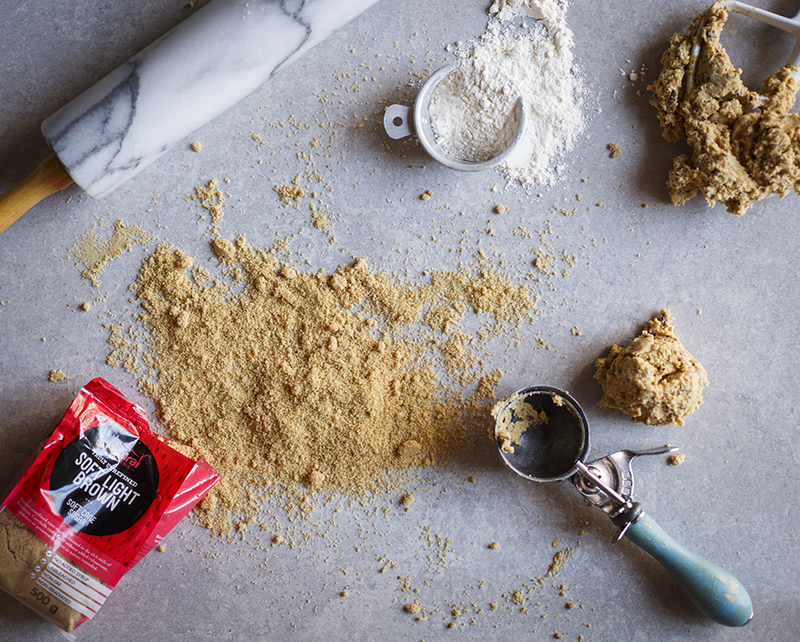 Natura Sugars has this sandy, voluptuous soft brown sugar that is fudgey and gives these babies a chewiness on the inside but leaves the edges crispy crunchy – in my opinion, what every cookie should be! 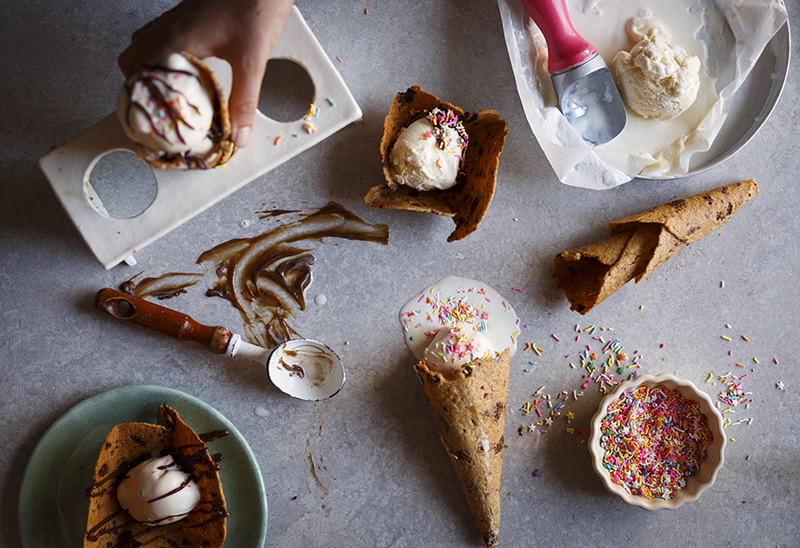 While they may look like a challenge, these cones are really easy to make. Simply whip up the cookie dough, then roll it into big balls. 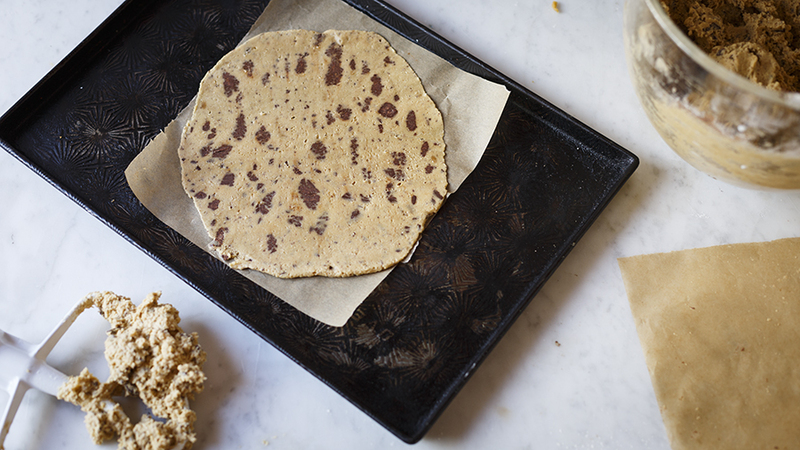 Next, use a rolling pin to roll them really thin and bake! 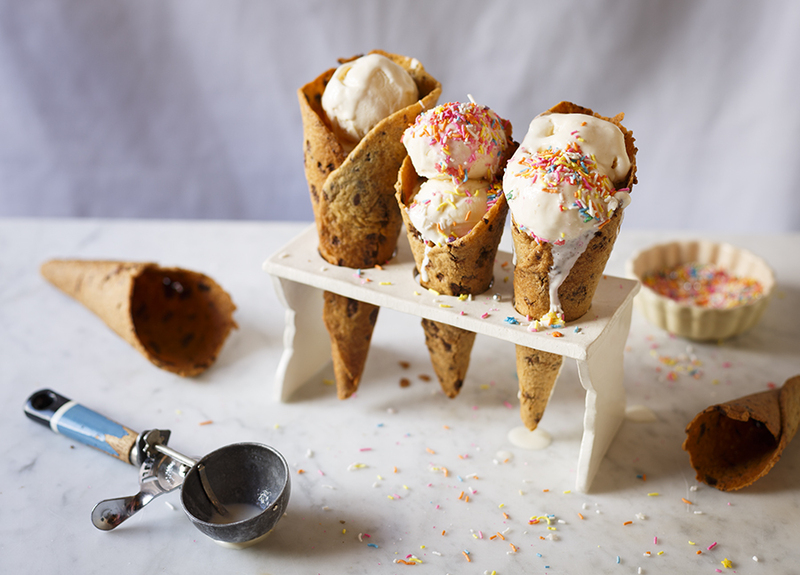 While they’re still hot shape them around a normal ice cream cone which has been covered in foil (in my opinion, that’s the only use for them, really) and allow to cool! 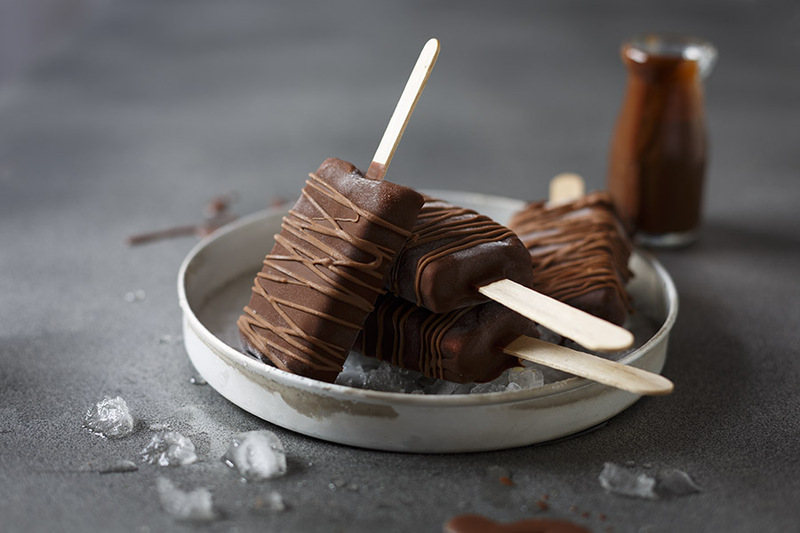 I like to stuff the bottom of my cones with a marshmallow to stop drips, and coating the inside of the cookie ice cream cone with melted chocolate would be pretty amazing too – or try this chocolate ice cap sauce! 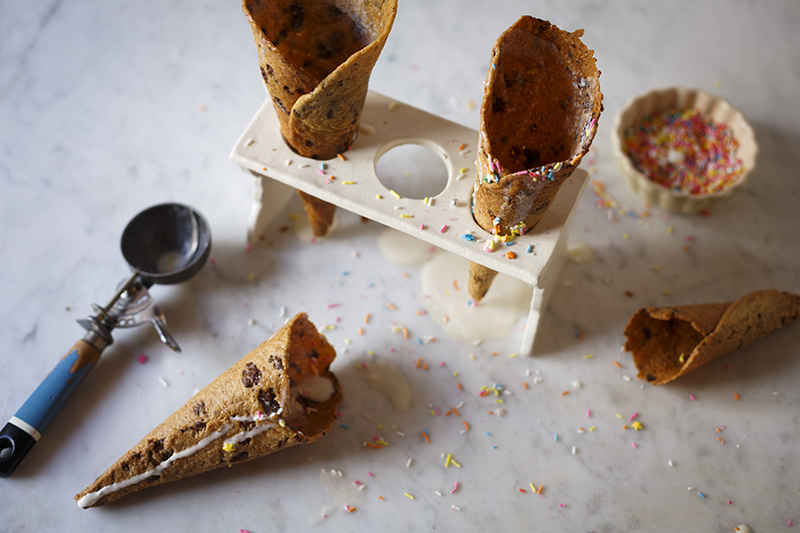 If cookie ice cream cones are not your thing, you could also shape them into cookie ice cream bowls by draping the hot cookie over a glass or muffin tin. All that’s left is to pile in the ice cream, sprinkles and sauce – and invite some friends around for an ice cream par-tay! Preheat oven to 200°C (or 180°C fan-forced). Place the butter and sugar in the bowl of an electric mixer and cream for 8-10 minutes until pale, creamy and light. Add the vanilla, milk and egg. Add the flour, baking powder, bicarbonate of soda and chopped chocolate and mix to combine. Roll out golf-ball size balls of the cookie batter between two squares of baking paper until 2-3mm thin then place onto a baking tray, leaving enough room for spreading. It’s easiest to bake two at a time. Bake for 14 minutes or until the edges of the cookies are golden brown but the centre should still be chewy. While still hot, turn the cookie over and wrap it around a waffle cone wrapped in foil and hold it in place for a few seconds until it starts to firm up. Repeat with the remaining dough. Store in an airtight container for up to 1 week. TIP This cookie dough freezes very well so make a huge batch, roll into balls and freeze in a ziplock bag. Then simply bake them from frozen! Where can I buy a ice cream cone holder like the one you use? Hi Annette, I actually made it myself in pottery class! I so struggled to find ice cream cone holders, so I took matters into my own hands 🙂 I’m so glad you love it as much as I do!